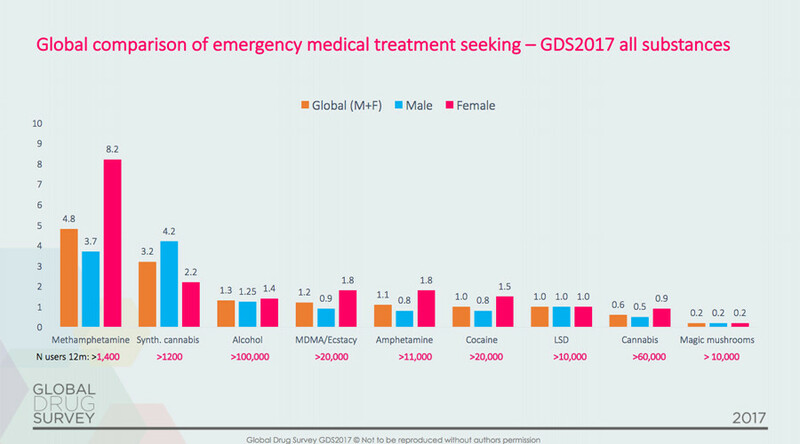 Magic mushrooms are “the safest drugs to take,” with people who consume them seeking less medical help than those who have used ecstasy, LSD or cocaine, according to a new report from the Global Drug Survey. The study, released on Wednesday, used data from about 120,000 people from more than 25 countries in 2016. “Magic mushrooms were the safest drugs to take in terms of needing to see emergency medical treatment,” the report said. Magic mushrooms’ “intrinsic safety” – which means the greatest risk you take is picking the wrong type, and the relatively small doses involved – can explain why they are “the safest,” according to researchers. The riskiest recreational drugs are methamphetamine and synthetic cannabis, according to the survey. Some 4.8 percent of the respondents sought medical aid after the use of meth, while 3.2 percent rushed to hospitals after taking synthetic cannabis. Alcohol (1.3 percent), ecstasy (1.2 percent), amphetamine (1.1 percent), cocaine (1 percent) and LSD (1 percent) come next on the list of dangerous recreational drugs. Natural cannabis is considered the least poisonous after magic mushrooms, with only 0.6 percent claiming to have sought medical help after its use. Colombia, New Zealand and Norway top the countries where residents prefer to pick magic mushrooms, while in Belgium, Finland and Austria respondents preferred to grow them on their own. “Death from toxicity is almost unheard of with poisoning with more dangerous fungi being a much greater risk in terms of serious harms,” Adam Winstock, a consultant addiction psychiatrist and founder of the Global Drug Survey, told the Guardian. 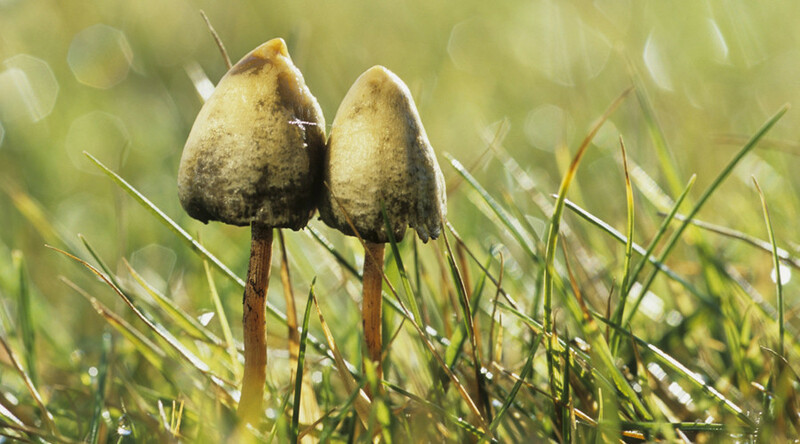 However, various circumstances can increase the danger of taking magic mushrooms, as can the addition of other substances to the mix, such as alcohol, Winstock says. “Combined use with alcohol and use within risky or unfamiliar settings increase the risks of harm, most commonly accidental injury, panic and short lived confusion, disorientation and fears of losing one’s mind,” he added. ‘Magic mushrooms’ is a collective term for mushrooms that contain psychedelic compounds such as psilocybin and psilocin. They can cause visual and auditory hallucinations, similar to those of other hallucinogens, including LSD. They can affect a user’s mood, sensory perception and sleep, according to drugs.com, an online pharmaceutical encyclopedia.